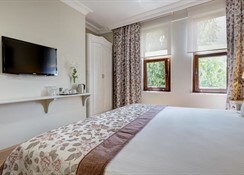 Renovated in 2010, the hotel has created a special and different home within the Turkish ideal of hospitality and guests will have a memorable stay. The new-modern wing of the hotel has opened in July, 2013. 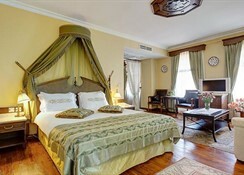 The hotel is welcoming the guests with its Ottoman style – classic wing and Country style - modern wing. Facilities include a lobby with a 24-hour reception, a currency exchange and lifts. 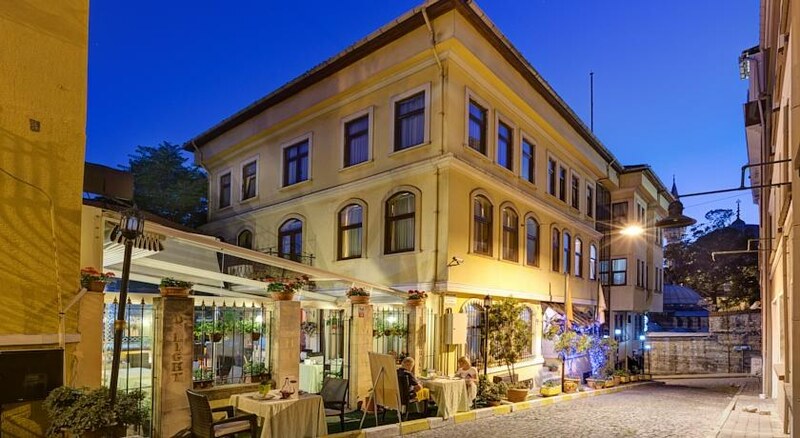 In addition, there is a bar, a restaurant, Internet access, room, Turkish bath & Massage and laundry services (added fee) and parking facilities. 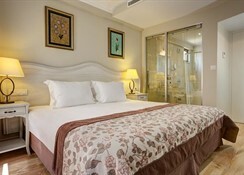 The hotel has a relaxing Turkish bath (fees apply) and can also provide massage treatments for guests (also for a fee). Cooking classes and paper marbling classes are available. For the hotel guests, complimentary tea & coffee buffet is available on check-in day. Only valid for the female guests, 15 minutes of foot massage is on house on check-in day. The hotel is located in the heart of the old city and is within walking distance of the main sightseeing monuments, restaurants, public transport and shops. Ataturk International Airport is just 15 km away. 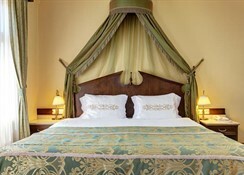 Delightfully decorated, the rooms are fully air-conditioned and heated. They all come with an en suite bathroom, complimentary tea & coffee facilities, direct dial telephone, wireless Internet network, hairdryer, bathroom amenities, safe, satelite TV, king-size bed and minibar. The Economic Rooms are located at the basement level and do not have a view. 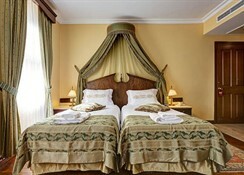 The elegant and semi-classic decor is the same as the classic double rooms. Had a lovely stay comfortable and lovely staff clean good variety breakfast .Had to change room paid extra make sure you book right room as the one we were getting was a pokey attic with very small window upgrade was a lot better lucky one was available.